Having just left Fremont on our way to Monterey, the words "I'm hungry" was said in unison from the back seat. For the love of... Then why did they not eat enough food before we left??? Fine. We would have to stop for food. With no real plan, we reached into the altered sched to find the only thing nearby was The Counter in San Jose. 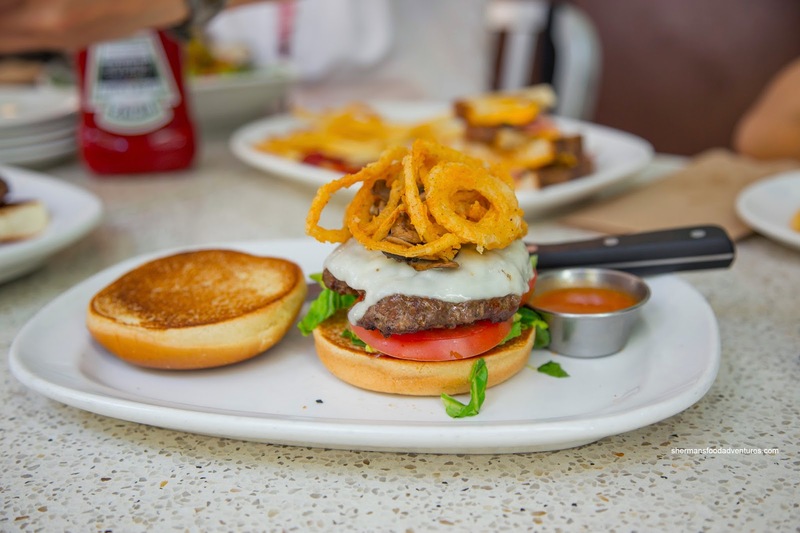 Located in the swank shopping district, this location of The Counter is part of a chain that serves up gourmet burgers offering up options for customizing your own. We were pressed for time so I didn't bother choosing my own toppings and went for the 1/3rd pound Counter Burger consisting of hormone + antibiotic free beef, sharp provolone, crispy onion strings, lettuce blend, sautéed mushrooms, ripened red tomato and sun-dried tomato vinaigrette on a brioche bun. The first thing I noticed after an initial bite was the meatiness of the medium-rare patty. It was firm, yet not dry exhibiting a whole lot of beef flavor and appealing texture. The crispy onions added both crunch and flavor. I thought the toasted brioche was firm enough to stand up to the ingredients while not being overly dry. 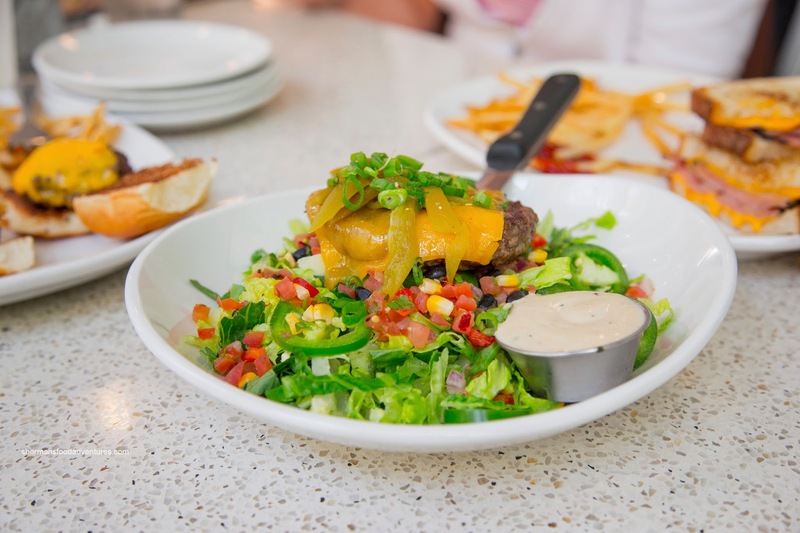 Viv decided to try the Southwestern Burger in a Bowl that was essentially a salad topped by a 1/3rd pound patty. It included hormone + antibiotic free beef, lettuce blend, tillamook cheddar, fresh jalapeños, roasted corn, black bean salsa, roasted green chiles and scallions with creamy Caesar. This was a spicy concoction with the burst of sweetness from the roasted corn. Definitely a low-carb option. 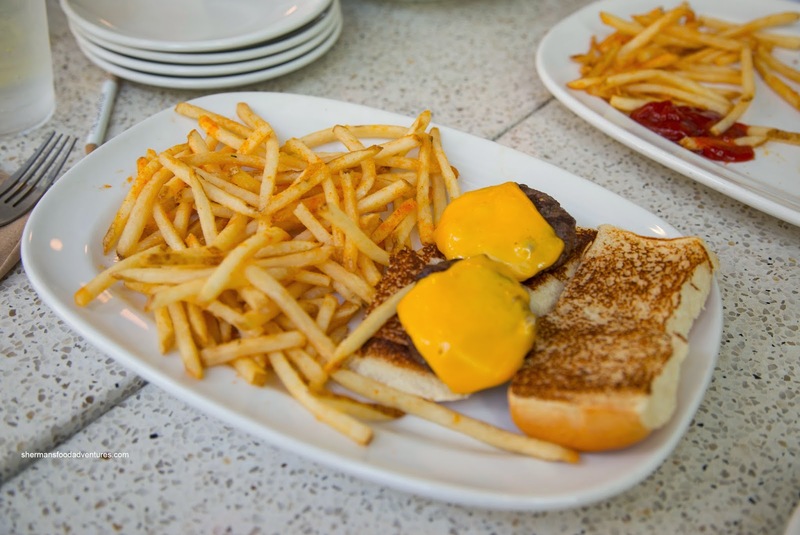 For the kiddies, my son had the Mini Cheeseburgers with shoestring fries. The thin fries were appealingly crispy while not completely devoid of potatoness. They were well-salted and good on their own. As for his cheeseburgers, the meat was again, not overdone and he dusted them off quickly. 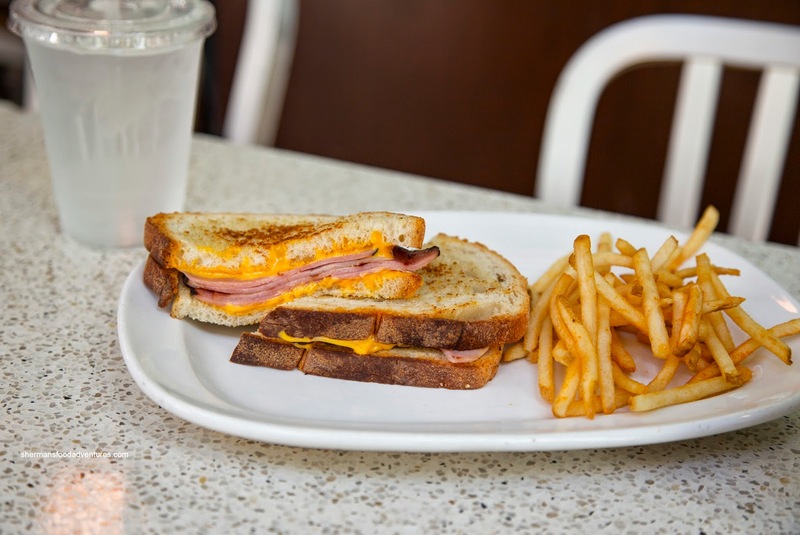 Going down her own road (like she often does), my daughter had the Grilled Cheese and Ham with skinny fries. Not particularly seared long enough on the flattop, the bread was naturally a touch soft, but there was lots of ham and cheese. It didn't help improve the texture, however, it did make the sandwich hearty. 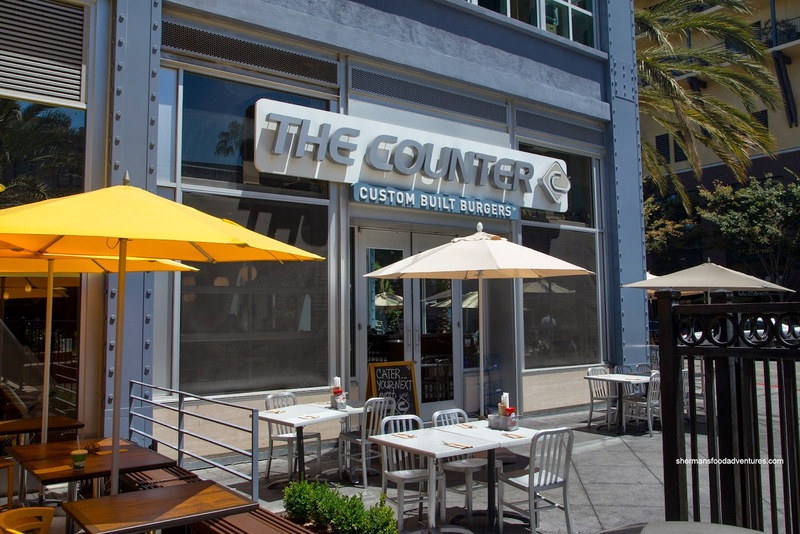 From the items we tried at The Counter, the food was decent and generally enjoyable. I wouldn't classify anything as ground-breaking, but the many options allow people to customize their meal.